I got married to my late wife, Susan Legardy Kearse, In New York City, and we had our wedding reception on the 108th floor of 2 World Trade Center. 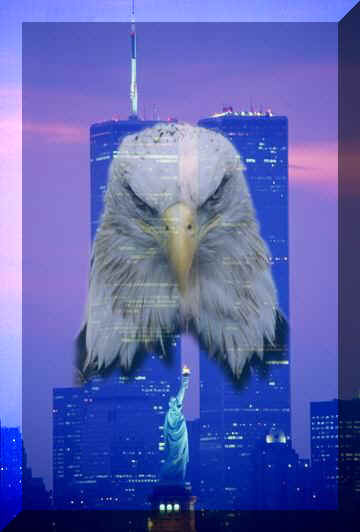 Six years later the terrorist act of September 11, 2001 wiped out part of my personal history. The loss I suffered, however, is trivial compared to the loss, agony, and pain suffered by the families whose relatives died in that tragedy. Susan passed away suddenly on June 1, 1993 at the age of 42 so I know the feeling family members experienced at the sudden loss of their loved ones due to the 9/11 tragedy. You suffer a wound that never, ever heals completely. Since I worked as a financial consultant on Wall Street for a number of years, I had commuted to work hundreds of times ending at 1 World Trade Center, either by subway or commuter train from New Jersey. I knew that there were 5 or 6 underground levels to the World Trade Center Complex (including at least 3 underground parking garages). I remember many times playing backgammon in the park diagonally across the street from 1 World Trade Center during lunch hour. I remember being glued to the TV following the news as rescuers searched through the rubble. I had a profound hope that workers could access the World Trade center site from underneath through the subway or commuter train tunnels and perhaps find survivors. I was living in Las Vegas at the time of the attack and still live here. I have been back to the east coast a number of times since 9/11 but have no desire to see the site as is (another wound that has not healed). In the final analysis this tragic event may have been caused more by egomania than by ideological extremism. bin Laden was one of the few egomaniacs to have a personal fortune in excess of $200 miliion dollars (US), and a willingness to use it for extreme objectives. So I think the assessment that Islamic fundamentalism was the dominant factor in this whole historic equation is entirely simplistic. No matter what your assessment of America’s moral standing in the world, where is the justice in 2973 innocent people losing their lives (including hundreds of non Americans from more than 90 countries) due to this act of terrorism?? All countries have a collective consciousness and a collective memory. 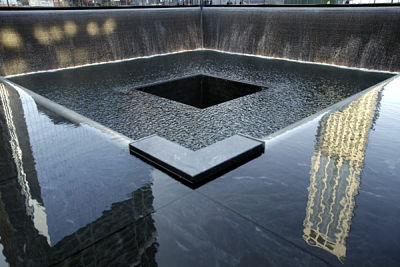 Certainly, 9/11 is seared into America’s collective memory, perhaps forever. But the collective consciousness of America is still as strong, resilient, and positive as it ever was.